Costco is one of my favorite stores. As the owner of a CRE brokerage that specializes in retail leasing and investment sales, I love retail and I’m always interested in how smart retailers operate and market their stores. The feelings that many get when going to Disneyland (joy, happiness, a sense of excitement) are the feelings I get when I visit Costco. For me, it is one of the happiest places on earth (or at least just about.) Costco is a retailer that clearly knows how to please the customer. 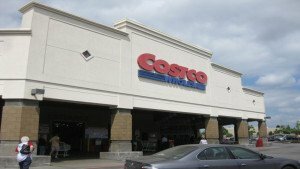 The Montclair, California location is my store of choice, but my reasons for being a big fan of Costco apply to all their locations. 1) Great Value – If value is a function of price and quality, then I don’t know any place that provides better value. Truthfully, I don’t know prices very well but when I come home after shopping at Costco and tell my wife how much certain items cost and she tells me what a great deal it is, I find it enormously satisfying. 3) Simplicity – I love the fact that Costco takes the “choice” out of the equation for me. I just assume that their buyers have already done the hard work of analyzing the various products in the marketplace and determining which offers the best value. This makes my life so much easier since effectively, the Costco buyers serve as my “consumer advisory board”. 4) Efficiency – Anyone who knows me knows that I am a stickler for efficiency. This past weekend, I was in the checkout line watching the person in charge and she was like a commander in battle. As she watched the lines grow, she was calling out to her staff to open new checkout lines AND for any new cashiers getting ready to come on shift to get to “their posts.” I so appreciated the fact that this woman clearly cared about the customer experience and was taking the growing lines personally. 5) More Efficiency – I admire a store that posts a chart that shows “employees scans per minute.” It is posted near the employee break room. I’m not sure if it is intended for the general public to see, but I think this chart is fantastic. More importantly, you can tell the team at the checkout line takes pride in their ability to move people through the lines as quickly as possible. In an era, where you often struggle to find someone to help you check-out and then the process is slow, I appreciate the speed at which Costco moves people through the lines. 6) Democracy – Everyone (or it seems just about everyone) shops at Costco. When I walk through the store, I like that we are all the same. We are all people that are shopping for great value in an effort to take care of our families. Unlike other stores that cater to a specific demographic, Costco is a store for the masses and I truly enjoy this community gathering. I didn’t even mention the sample vendors (which fed my family on some Saturdays when I started in the brokerage business), the food court, the high open ceilings, the large parking lots, or the little bit of exercise I get from walking around the store. As I finish writing this blog, my adrenaline is running. I can’t wait for the next time I go shopping at Costco! Email me at [email protected] and let me know what one of your favorite retail stores is and why. Looking forward to talking “retail” with you! Disaster RecoveryUncertain About Buying a Restaurant? It’s Good to Be the Landlord! First of all, great blog Brad and second of all, good picture Emily! We love when people use their own images. It is so awesome. As far as retail stores, I love The Container Store and IKEA. I definitely like Costco too! Thanks for sharing this and we look forward to more insight from you on the topic of retail.